Ella Poe Jewelry at 80% Off! Creator and designer, Danielle Birrittella strives to make every piece of Ella Poe jewelry meaningful and eco-conscious. 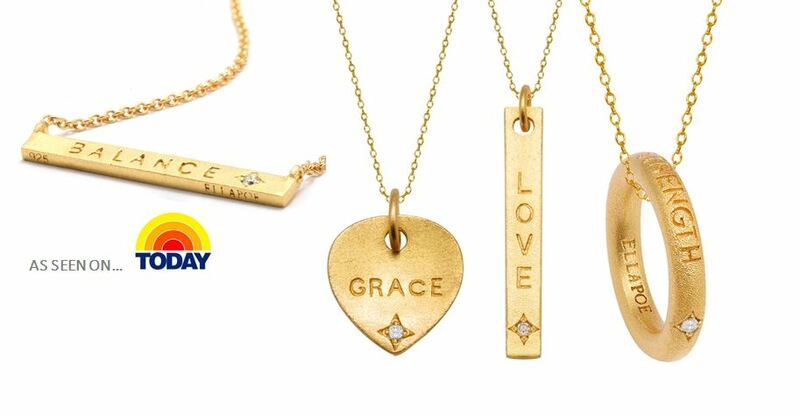 Worn by celebs (including Cindy Crawford and January Jones) and recently featured on the TODAY show, Ella Poe Jewelry is offering their beautiful gold vermeil and diamond necklaces from their Mantra collection for only $49 (they’re regularly $240!). To get this deal click here and enter the password “today”…but act fast, this deal ends Monday!